1031 Exchanges will be the topic of discussion this week at Real Estate Investors of Virginia. We will have guest speaker and financial advisor, Jerry McMillian to cover the topic. We talked about 1031 Exchanges with our member Robert Young about a year ago and it’s about time we dive back into them. 1031 Exchanges are a way to get around paying capital gains on a property that you sell as long as you reinvest all of the proceeds in a new property. You are essentially deferring this tax for later recognition. One who takes advantage of sophisticated loopholes such as this understands the time value of money. 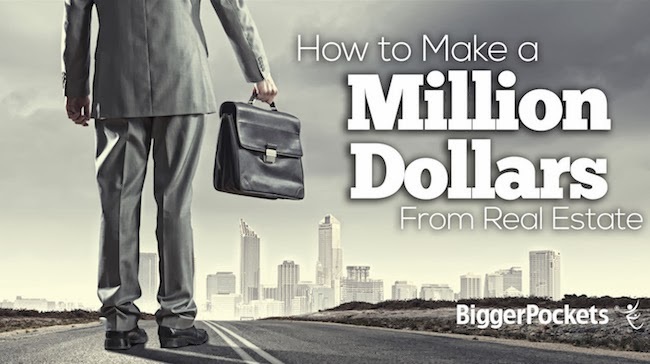 The ability to make more money with that dollar in your pocket today. However there is a cost of doing 1031 Exchanges that must be considered. It’s a no brainer for expensive property but questionably beneficial on low dollar volume exchanges. Come on out and lets get back into the details of the 1031 Exchange and spend a little time with good, like minded people. PS. I’m back from Tampa. Spanky and I went down there on one of those cheap Allegiant flights. We were there to talk to REO Realtors and get a feel for the market and specifically where we should invest. I learned allot. It was a highly productive trip. We rented a speedboat for one day to ride around and see where it would be good to buy a house on the water as well. That thing was fast! I found that all of the boat rental places wanted people to have lots of experience with boats after getting turned down a few times. So I quickly realized that I had to lie to get a boat. Man did we have fun… There was a tornado watch and the water was really choppy. Only beached the boat once! We’re glad to be back alive. The flight back was contracted out to Miami Air. There was a very inexperienced pilot of this massive plane. We were coming down into Roanoke and he almost crashed it. People were thrown all over the place smacking their heads on the walls of the plane. The plane dropped several times so fast that there was weightlessness. Then several G’s that made your stomach turn upside down. Not mine but many people in the plane were puking. It was gross. I was scared for real. It takes quite a bit to scare me. I was clutching onto the seat in front of me for my life. Thoughts going through my head that I don’t have my company set up in a trust yet with beneficiaries that can have it once I die without having to deal with our lovely government. Looking out the right window there was Smith Mountain Lake. Then there was Tinker Mountain. VERY CLOSE to the plane. We were right next to it. It was a little higher than we were. Once the pilot realized he was going to crash the plane he pulled up hard and we were headed straight up still getting thrown all over the place. There was some wind but I think it was more pilot or plane error. About 15 minutes of pure terror. No Joke! Once we got above the clouds it settled out and he landed it in Greensboro where he abandoned us after the airlines held us hostage on the plane for 2 hours straight while they were figuring out what to do. Me and Spank hired a Cabby to go back to the shop and get a van for 8 of us to bring us back to Roanoke. Whew, glad that part was over. Open Letter From Yours Truly To The Entire City Council, Mayor, City Manager, City Planning and Code Enforcement Staff Of Supervisors. One Responded Due To Election. Please see the attached link to the Real Estate Investors of Virginia website. Something that you may be concerned with, or maybe not. I honestly don’t know as our group has had poor results over the past 3 years we have tried to work together with the city as partners. BTW, at the last city tax sale there was a number of questionably illegal, certainly immoral and unethical activities that took place that I’ll be writing about next week. Just checking with you all to see if these regular issues we are seeing happening are the new norm. I’m sure you must not be aware of this stuff because I can’t see any reasonable person allowing it to continue. thanks for sending- I will investigate but we are generally extremely well recvd by businesses and I would not think it is anything in the norm or expectable range and may be a matter of interpretation. Thanks for your response. I think you are a little out of touch with investors in the city. I can assure you that the city is not well received by the majority of property investors. I am an officer for Real Estate Investors of Virginia and of our membership of 550 investors in the city, not one of them has ever told me that they are happy doing business with the city. However I get lots of positive feedback about every town surrounding it. I WILL BE WRITING ABOUT SOME POTENTIALLY ILLEGAL ACTIVITIES THAT WERE DONE BY THE CITY AT THE TAX SALE. WHEN I DO, I WILL EMAIL YOU AND YOU CAN JUDGE YOURSELF IF THEY WERE “IN THE NORM” OR WITHIN AN “ACCEPTABLE RANGE” OF LEGALITY. EVERY REALTOR AND BROKER I HAVE TALKED TO SAID THEY ARE WELL OUTSIDE THE “ ACCEPTABLE RANGE” OF LEGALITY AND FAR FROM THE “NORM". Lets just all play by the rules. Honesty and morality should not be a thing of the past. I do not find it acceptable for our local government to follow in the footsteps of corruption that our national government deems acceptable. Tuesday evening at REI of Virginia we have Helen Shampine and David Bustamante coming to speak with us. They are in charge of the Section 8 program in this area. The Section 8 program used to consist of both the Housing Authority and TAP but it has all been turned over to the Authority now. The purpose will be to talk about the Section 8 program to the members of our group that don’t know about it and to answer any questions or suggestions that we may have. Over the years I have been real happy with the Section 8 program. Can’t beat that guaranteed rent. And the residents are under your thumb to a certain degree because if they are in violation of the lease they can lose their Section 8. However there have been some problems lately. For example, now it takes much longer to get a new Section 8 tenant into a unit than it used to. You can wait for a month or more for everything to be approved. With that considered and the option to rent the property to someone else not on the program who qualifies and has rent in hand, it makes it hard to willingly lose a month or more of rent in order to rent to the Section 8 tenant. At that point the benefits get outweighed to a degree. They have also been having some problems with inspectors that are way over the top nit picking every little thing. I’ve had small scrapes on a deck from the tenant dragging furniture across it that I had to have repainted because the inspector thought it fell into the chipped flaking paint category. And she just checked the property 2 weeks earlier with the last section 8 tenant. I’ve had an inspector on a re-inspection tell me that I had to cut out all of the caulking around the bathtub and replace it because the TENANT was a filthy pig and didn’t use Tilex to get rid of the mold that gets on all grout or caulk if it is never cleaned. I see that as a tenant issue, not a landlord issue. So come on out to the meeting with your suggestions in hand. For those of you who aren’t familiar with the program I would still suggest it even though I have had problems. The main reason I would is that I haven’t given up faith in the people who run this program as they have always been concerned with my issues and I feel like they are trying to work to always keep it a top notch program in our city. I can understand that they will have some bumps along the way and have confidence that they will fix them. I’ve got bad news for you people. It’s a verification of what we all already knew. Roanoke City Government has told their code enforcement department to single out landlords to take to court rather than enforcing the state code equally amongst all property owners. I don’t think our politicians who wrote these maintenance codes or the judges that enforce them would be happy to hear this. I was at a South East Action Forum meeting in February and they were reading their meeting minutes from their January 2nd 2014 meeting at Jackson Park Library. Below is a quote from their meeting minutes which I was able to obtain. Code Enforcement Officer, Victor Villasenor, reported that work on the 13th Street roundabouts is progressing and that there will be properties on the Code Enforcement court docket for January 16th. He added that during this time of year, the focus on code violations will be on rental properties. Members were encouraged to show their support for these efforts at the court date. This is bad and clearly demonstrates that the local government is in a full scale attack against small business owners across the city. What do you think about the “corporate culture” that our mayor, city council and city manager have implemented within the city departments that they are over? Fantastic Meeting Lined Up That You Don’t Want To Miss! 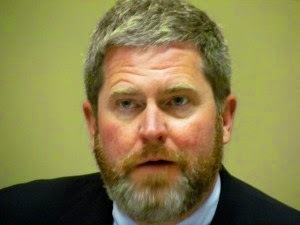 I am pleased to announce that REI of Virginia is having one of our favorite speakers at our meeting this Tuesday. Our member and good friend, Ray Alcorn will be giving his 2014 forecast for the real estate industry. If you don’t know Ray he is what I call a real estate guru even though he doesn’t consider himself to be. I guess because the guru’s have a bad name due to a few scammers. Ray is the real deal. 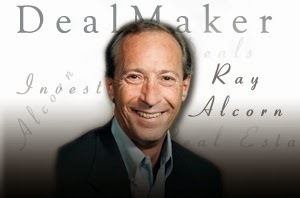 Ray has been involved in Commercial Real Estate for over 30 years. It’s in his blood as his father was involved with commercial real estate as well. He’s done everything from trailer parks to high end commercial property, etc. 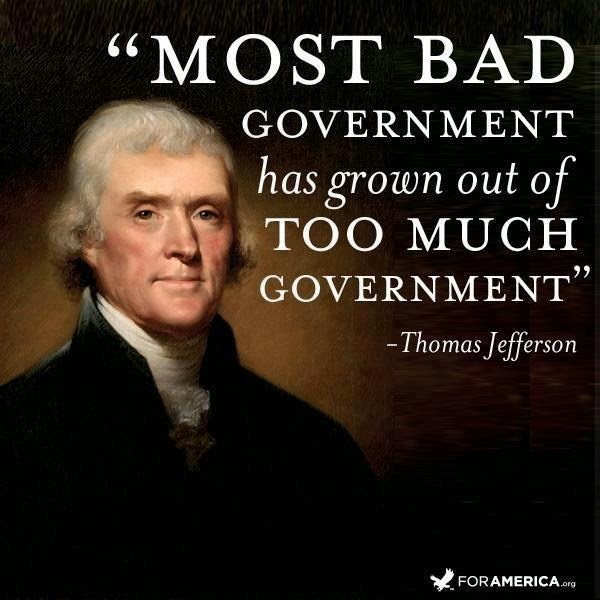 And has been very successful at doing so. Every year Ray puts together a projection so fellow investors can determine what to do with their money in the upcoming years. I’ve never met a person that scours over every statistic out there to the degree that Ray does in the development of his outlook. Going to be an outstanding meeting. This Tuesday we have a fantastic meeting lined up with Marla Robertson and Ann Weaver of Lead Safe Roanoke. Marla and Ann run a great program and they now are lined up with more funding. 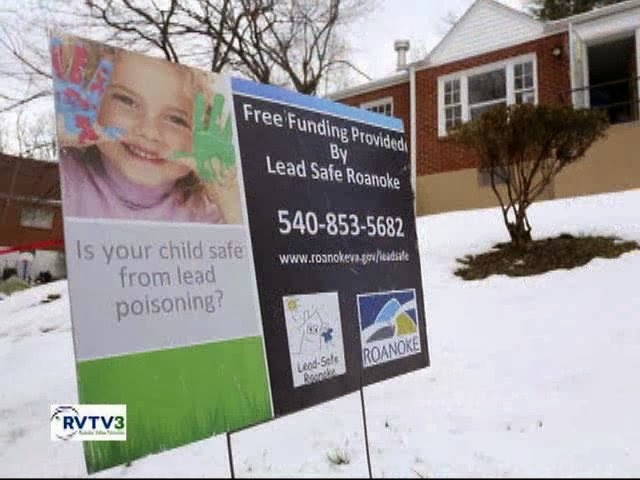 Lead Safe Roanoke is a program that protects children by testing your property for lead and fixing the problem if it has it. I have used it a number of times in the past. Typically what I’ve seen is that they end up installing new windows, doors and paint if needed. And they often dig out the dirt around the house and replace it with mulch as that dirt often is contaminated by lead. So what’s the catch? There isn’t one really… If your property qualifies by having low income children under the age of 5 or a pregnant mom you will get this work done for free. However you will be required to put the tenants up in a hotel for a few days while the work is being done. No big deal considering the value that you are getting as a result of the work done. You can also participate in this program on a property that you just purchased if you make a commitment to try to keep it rented to low income families with children that fit the criteria. Come on out to our meeting. You don’t want to miss this!! !